Friday, July 14: Orca Books, Olympia: 6 p.m.
Saturday, July 15: Olympic National Park Visitor Center, Port Angeles: 3 p.m.
Tuesday, July 18: San Juan Island Library, Meeting Room, Friday Harbor: 7 p.m.
Thursday, July 20: Bellevue Public Library, Meeting Room 3, Bellevue: 7 p.m.
Watermelon Snow tells the story of climate scientist Dr. Kate Landry and her students on the Blue Glacier. Dr. Landry makes a remarkable discovery, triggering a series of tragic events that threaten her work, her life—and the lives of everyone around her. 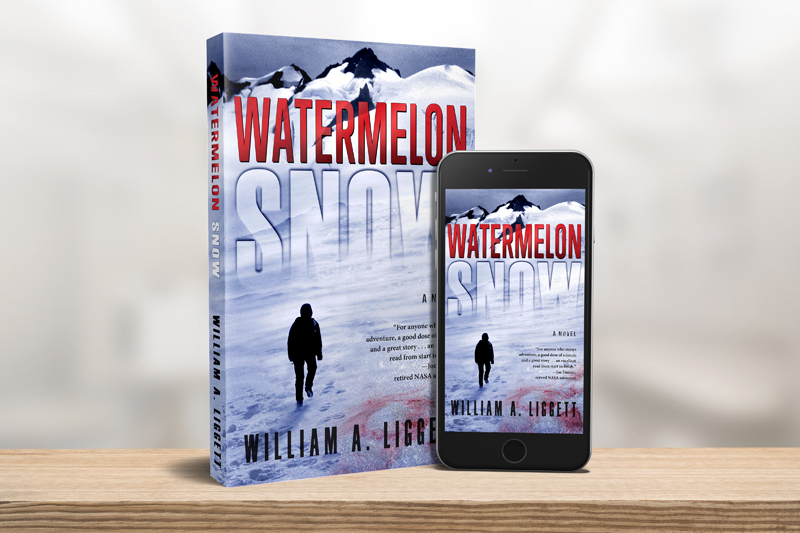 Against the backdrop of global warming, the book blends adventure, mystery, science, and suspense in the tradition of Michael Crichton and Robin Cook.